BRING ALL OFFERS ON THIS CUTE AND COZY single-wide on 1.2 mature treed acres close to Sherman yet in the country for a quiet get away. This property offers an abundance of nature to adorn from any area of the amazing full grass with 6ft CUSTOM chain link privacy yard. Cottage feel in this 3br, 2ba home with gas fireplace, 3rd br added by prior seller for additional space in width of home. 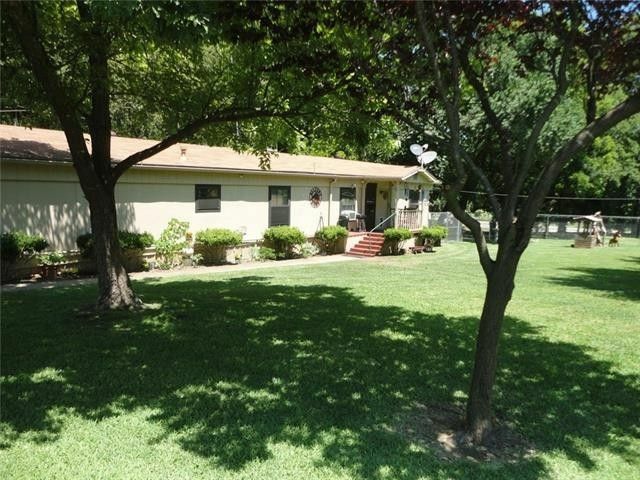 Fruit and pecan trees fill the yard for natural shade and St Augustine grass that is gentle to the feet.Great starter home or down sizing you must see to appreciate. Owner must be present to show and 30 min advance notice is requested. Gates will be locked. Call agent to show. SELLER VERY MOTIVATED...! !